Here at HEXAPOLIS, we have come across some enchanting hobbit homes that are the perfect destination for Tolkien fans. 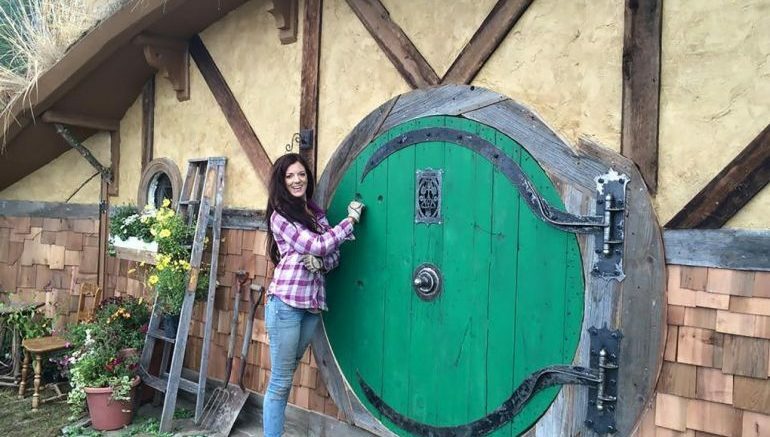 Adding to the list is the spectacular Washington Hobbit Hole, designed by tiny house builder Kristie Wolfe. Located in the state of Washington, this idyllic off-grid dwelling looks straight out of Middle-earth. Featuring an incredibly innovative, sustainable design, the hobbit house embodies dressmaker and architect Wolfe’s vision. 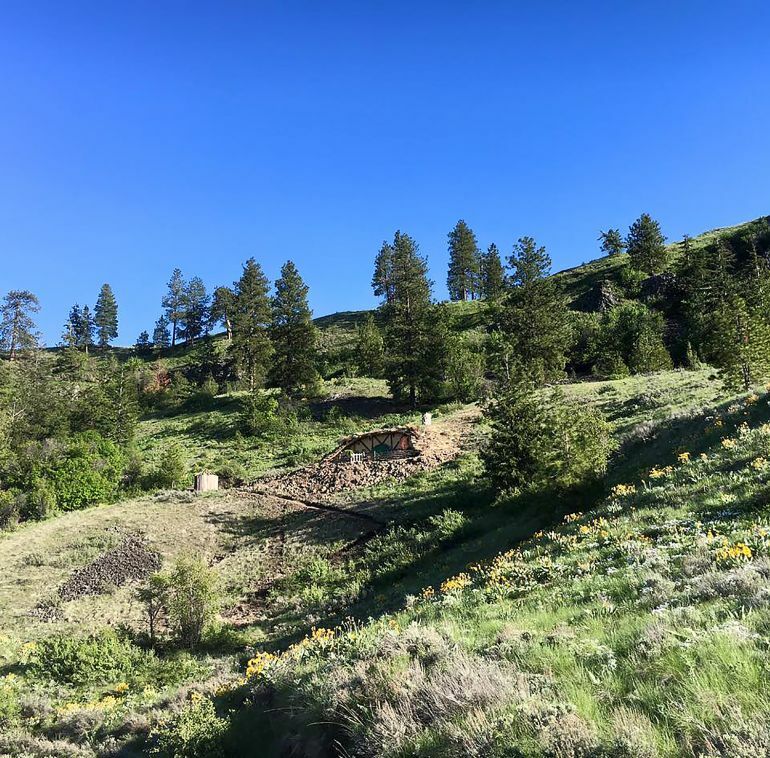 Situated in the middle of a 5.5-acre plot near the city of Chelan, the structure is constructed right into the mountain. Spread over an area of nearly 288 square feet, the home features a modern design, complete with a bedroom, bathroom, kitchen and living space. 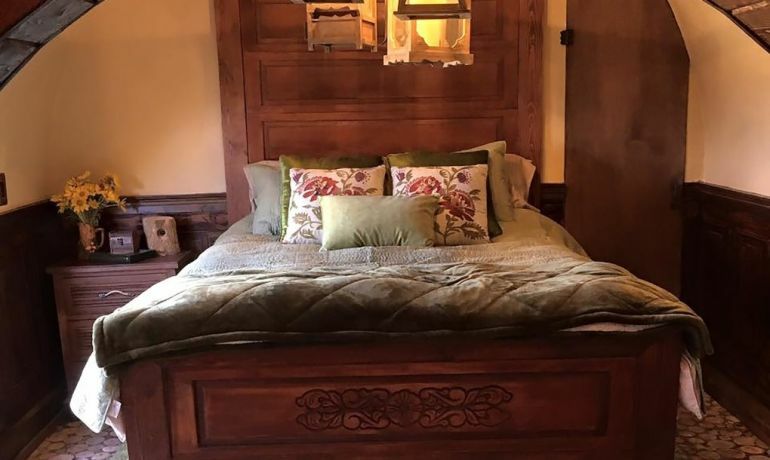 What makes it unique, however, is the dwelling’s charmingly rustic details, including a quaint stone fireplace, round windows and so on. 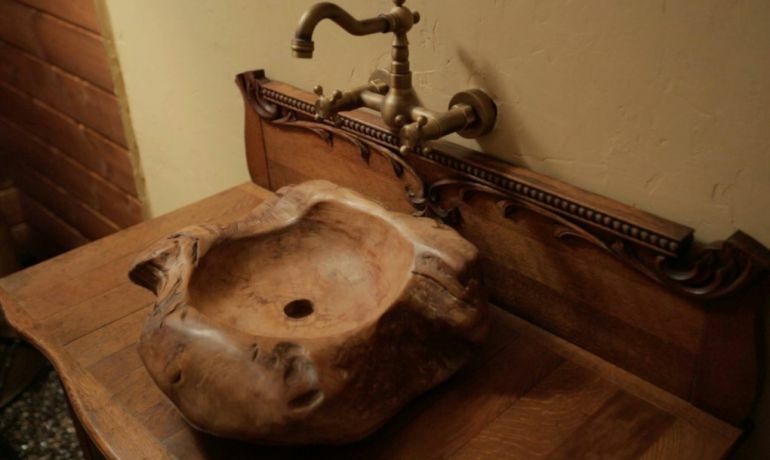 For the project, Wolfe repurposed cable spools into Hobbit-esque circular doors, while also reusing driftwood bowls as bathroom and kitchen sinks. In addition to these ingenious features, the house boasts a completely off-grid design, powered by a combination of roof-mounted solar panels and a set of six volt batteries. Water, according to the developer, comes from a nearby water tank. 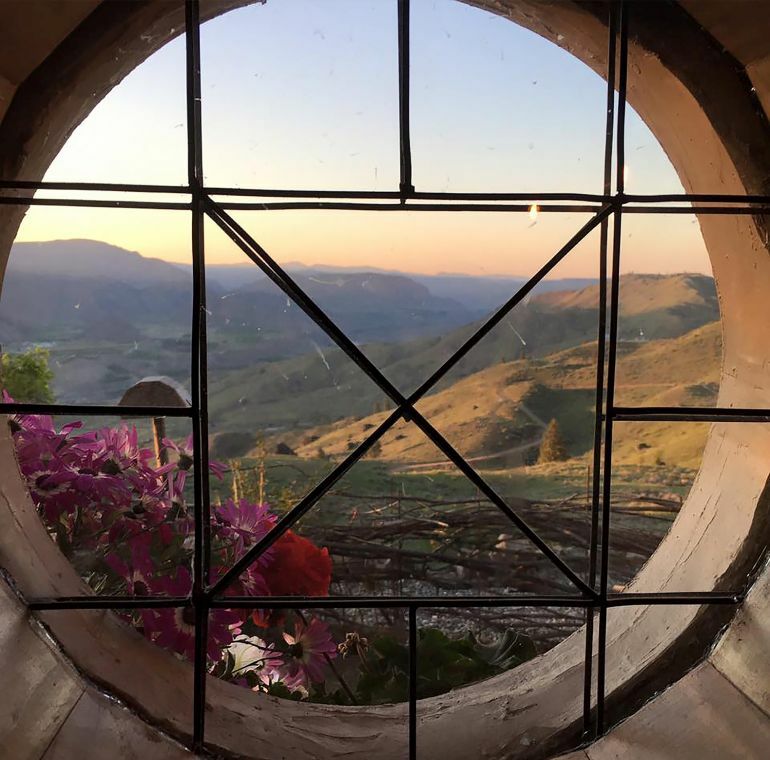 The Hobbit Hole comes equipped with an advanced greywater system that recycles waste water, which then goes toward hydrating the structure’s grass covering. The waste collected from the water is sent to a separate septic tank, where it produces propane when treated. The resultant propane is utilized to keep the house warm. 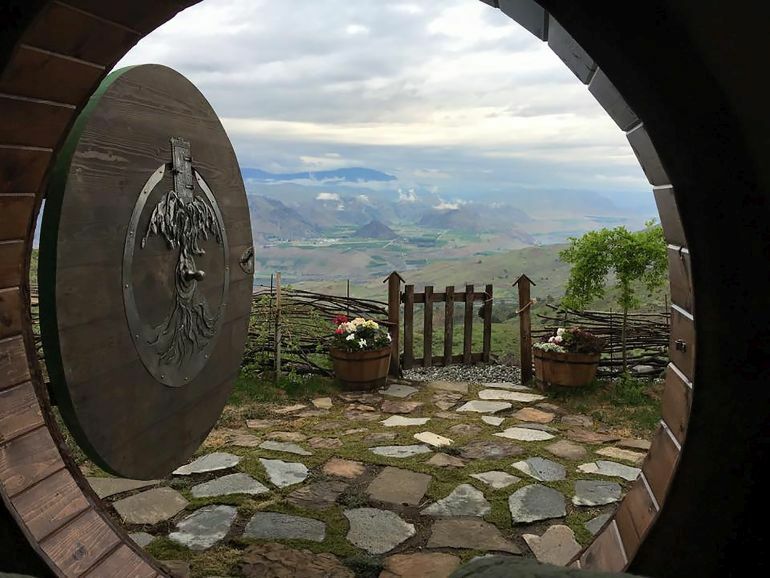 Quite like Bilbo’s Bag End, Wolfe’s hobbit home has a beautiful front patio, adorned with flowers as well as chairs that allow the residents to take in the magnificent views of the surrounding valley. Given its somewhat unique position, the structure was built such that it can withstand a variety of environmental pressures. For instance, to combat dampness, Wolfe added “moisture guard insulation” to the design. The developer plans to construct two other Hobbit-esque tiny homes in the same location, with the hopes of starting a Middle Earth-style micro-community. 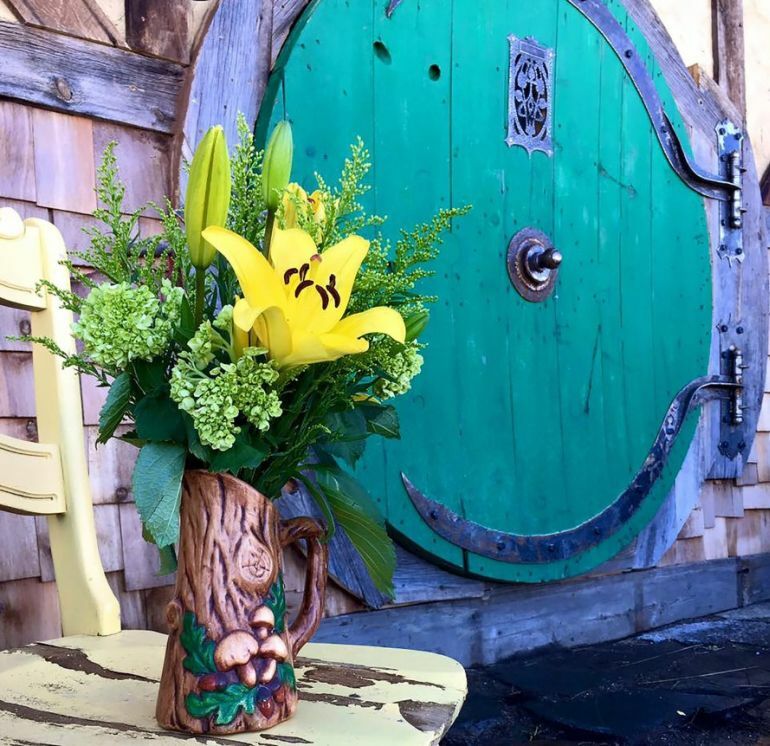 For a night at the Hobbit Hole, Tolkien aficionados will have to shell out approximately $220. To learn more about Kristie Wolfe and her other projects, head over to her Facebook page or click here.